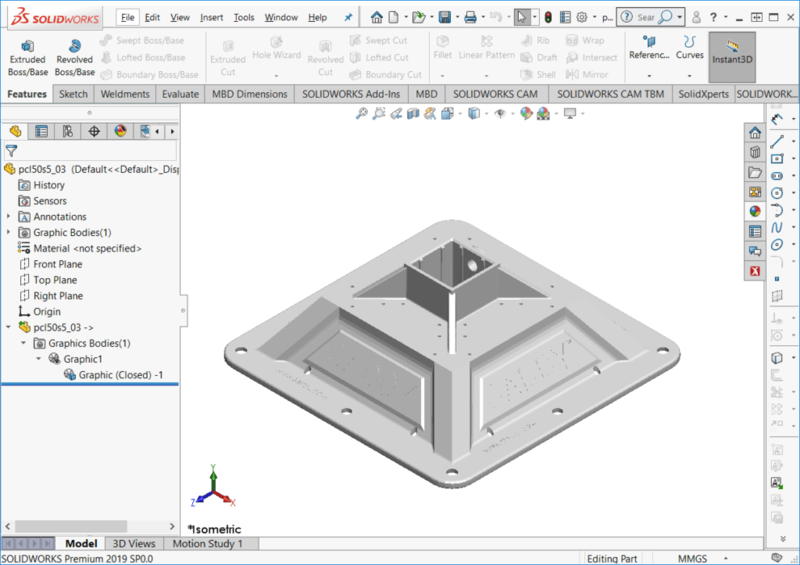 Following the release of SOLIDWORKS 2019, users can now import third-party files as graphical 3D meshes rather than solid or surface bodies. Previous releases were limited to the mesh file types *.stl, *.obj, *.off, *.ply, *.ply2. Changes for 2019 also include the addition of a ‘Graphical Body’ check box from the ‘Open’ dialog. 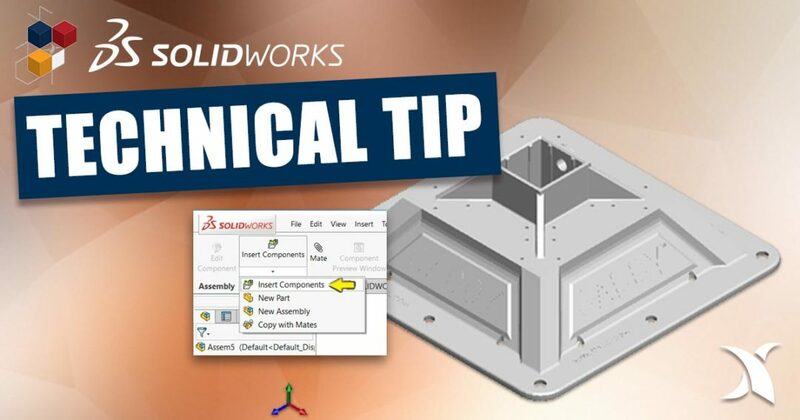 Importing as a graphics bodies can be very useful for manual remodeling or taking specific measurements. Additionally, importing as a graphics body utilizes significantly fewer resources when opening large or complex files. To access this feature, follow the steps below. 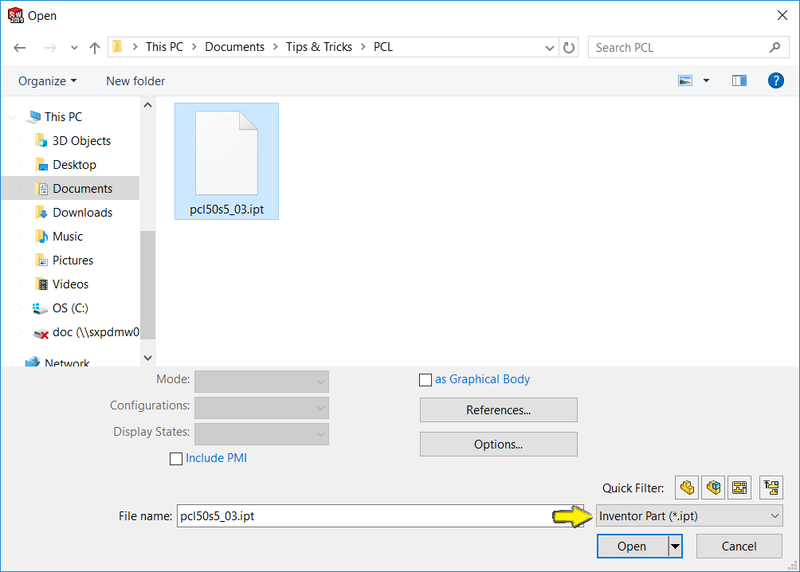 Import as a Graphical Body can be accessed with File > Open (Ctrl + O) or Insert > Component > Existing Part/Assembly within an assembly. Unlike importing mesh files, users are no longer required to enable the Graphics Body through the options menu. 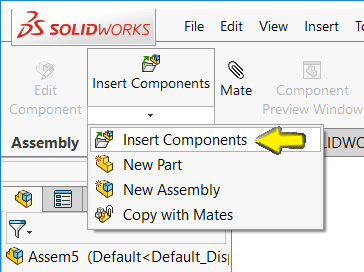 SOLIDWORKS now includes an “as Graphical Body” check box below the file explorer. Select the check box and click ‘Open’. The Inventor Part (*.ipt) is now imported as a Graphical Body. 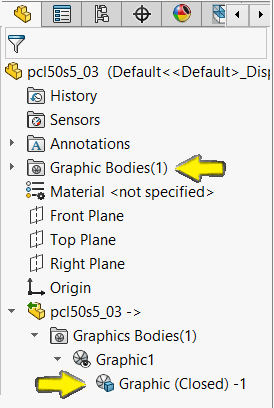 Notice the feature tree displays the part not as a surface body or solid body – but as a Graphic Body.